Day 1 Pick up from Cochin Airport. Proceed to Munnar(130km ). 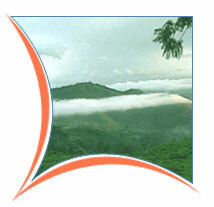 During the British rule in India, Munnar was the summer resort of the Government officials. The natural beauty, calmness and mild cold climate throughout the year makes it the favourite tourist place of both Indians and foreigners. Overnight at Hotel. Day 2 Proceed for sightseeing in Munnar. MATTUPETTY LAKE Created by a small hydroelectric dam project, this lake is situated at a distance of around 13 km away from Munnar. Precious but little-known place situated at a distance of 15 km from Munnar, Rajamala is home to almost half the population of Nilgiri tahrs (a rare mountain goat). Overnight at Hotel. Day 3 Proceed to Thekkady (100km). The pride of Kerela and a testimony to nature's splendour and human innovation, the Periyar Wildlife Sanctuary is situated on the banks of the Periyar lake - an artificial lake, at Thekkady. After Boat cruise in Periyar Lake proceed for spice plantation visit. Overnight at Hotel. Day 4 Proceed to Kumarakom(130km). Kumarakom the charming emerald peninsula jutting into the ever-effervescent Vembanad Lake takes you into the heart of the scenic lake where you'll come across plenty of traditional country crafts, boats and canoes. Sightseeing in Kumarakom include Kumarakom Bird Sanctuary, an ornithologist's paradise is a favourite haunt of migratory birds like the siberian stork, egret, darter, heron and teal. Overnight at Hotel. Day 5 Proceed to Kovalam(180Km). This internationally renowned beach has been a favourite haunt of tourists. Kovalam consists of three adjacent crescent beaches. The southern most, known as the Lighthouse Beach , is the most popular. Overnight at Hotel. Located at the Southern most part of India, it is a place at the confluence of the Indian ocean, the Bay of Bengal and the Arabian sea. The multicoloured sand is an unique feature of the beach here. 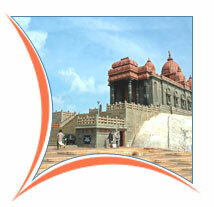 400m off the coast, in a rocky island, stands a memorial dedicated to Swami Vivekananda, who meditated here in 1892. Overnight at Hotel. Day 7 Proceed to Cochin (236km). Day 8 Today's sightseeing includes Jewish Synagogue( Build in 1568 AD), the Dutch Palace (Build by Portuguese and presented to the Cochin Raja ), St. Francis church (The protestant Church was built originally by the Portuguese in 1503AD) & Chinese fishing net( It is called Cheena vala in Malayalam) and Kathakali show in the evening. Overnight at Hotel. Day 9 Back to Cochin Airport .